Listening to the initial 1950s doo-wop opening track of the album “Chet”, Temporary Hero sweeps you away into another world. With folky undertones of sound of snapping fingers on tracks and ba da da’s, one can say the approach Temporary Hero takes in his music stands out. It should not surprise new listeners to the band, that he has already made two other albums previously, paying tribute to Bing Crosby and Frank Sinatra. Some tracks on the album such as Time After Time, and I Get Along Without You Very Well, sound a little bit more electronic inspired than the soul and borderline hip hop sounding I’ve Never Been In Love Before. The sum of the lyrics on this album point to that of more than your typical musician, it goes more alongside the thought of finger tips tracing outlines of a writer’s innermost thoughts, building upon the layers of surreal dreams. Without a doubt, Temporary Hero makes listeners experience a variety of emotions from the lighthearted heart thump to a sense of melancholic daydream. 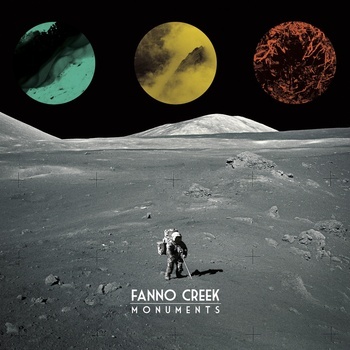 One of the definitions of the word monument is “something venerated for its enduring significance.” It is also the title of Portland Indie-Rock staple Fanno Creek’s new album, and one listen to the band’s music proves the definition apt. A beloved sing-along band in the city of roses, Fanno Creek is ready to spread its arms and fly over the musical waves of all 50 states and beyond … and maybe soon become a monument. While I am admittedly overwhelmingly kind on the Music Court, I reserve the 50-state praise for the bands I feel are ready to spread rapidly, and this trio consisting of Quinn Mulligan, Evan Hailstone, Dane Brist is more than ready. Bands that depend on harmonies need to maintain a closeness that other bands may get away with lacking. Fellow Northwestern harmony-kings Fleet Foxes formed by way of two long-time friends. Fanno Creek shares a similar tale. Evan Hailstone and Quinn Mulligan knew each other in diapers and started making music together in their mid-teens. 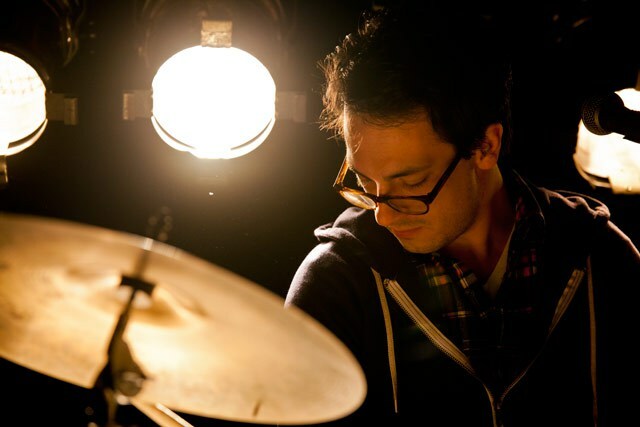 In college, the duo expanded to include drummer Dane Brist, and after several incarnations formed Fanno Creek in 2009. Since then, the band has toured the local circuit, forming a loyal following of music lovers who know good tunes when they hear them. With Monuments, it is time that the word spread. “On My Way” is a quintessential example of why I cannot stop listening to Fanno Creek. The song starts with an infectious harmony pasted over a pounding singular drum. The vocals are intricate. The incipient harmony leads into a pure layered vocal over a gospel clap, an element slightly unconventional to Indie/folk music but quite refreshing and unique. Brist’s drum is not far behind, and it crashes into a culmination of symphonic sounds and this majesty diapason of harmonies and electronics. It is a wave of sound. It’s just really damn impressive! “Trilithon” is my second favorite track on the album, and while ostensibly it expresses similar qualities to “On My Way,” the reverberating drum and swooning harmonies (and soft vocal howls) almost sound Beach Boys-esque, and this adds a whole new element to the music. So … you know what to do; spread the word of Fanno Creek to all of your friends! Check out the rest of the album at Fanno Creek’s Bandcamp. You can follow the band on its Facebook and Twitter.